It’s safe to say that the Iranian book market has a strong interest in translation: it’s easy to find several translations of the same book in a single bookstore. Several reasons fuel this phenomenon, but the most important is rather banal: Iran’s glaring disregard for copyright laws—both internationally and domestically—mean that these kinds of retranslations run rampant. Most literary publishers enter the translation and publication processes without securing the rights to the original foreign book. Or they can simply translate/publish a title already in print or well into the process of translation/publication by another publishing house. Iran is not a signatory to the Copyright Treaty of the World Intellectual Property Organization (WIPO), though it joined WIPO in 2001. Neither does Iran take part in international conventions on the protection of literary and artistic works. Not legally bound in the way that organizations in other countries—such as many European countries and the United States—are, Iran’s public and/or private literary/artistic organizations do not often behave ethically toward their foreign counterparts. A closer look at the situation reveals some practical issues that might help explain such practices. The domestic Iranian literary market has been generally isolated from the altogether more well-run, well-distributed, and profitable international one. This has proved a shocking impediment to success despite the individual successes of Iranian publishers in international book fairs. 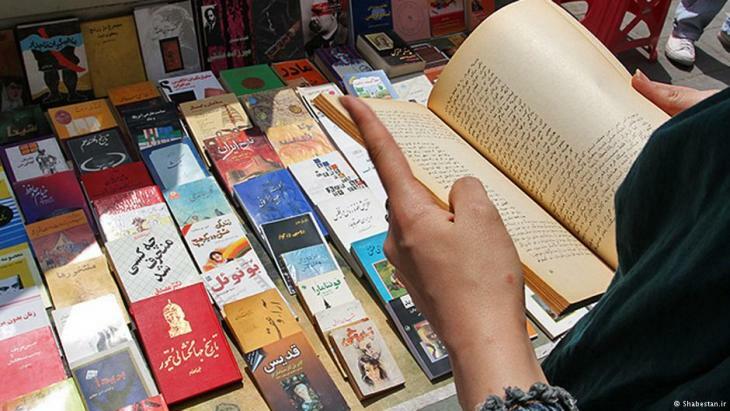 The financial struggles of the Iranian book market have been no help. The literary readership is shrinking due to both cultural issues and the general financial struggles of the people; as a result, the number of print copies in distribution remains low. The government is not only unsupportive of the literary institutions but also hindering their practices with methods including (but not limited to) favoritism and censorship. Furthermore, the low-valued Iranian currency, exchange rates with foreign currencies, and the difficulties of financial transactions with foreign agencies as a result of international sanctions in recent years have complicated all international business affairs, even literary ones. On the domestic front, the situation is more or less equally complicated. Iran passed its own copyright law in 1970, but the law is not really observed. Breaking it rarely leads to legal consequences, and even government agencies, such as the Islamic Republic of Iran Broadcasting (IRIB), constantly do so. In contemporary literature, things are not that different. As we’ve seen in cases of Paul Auster, J. K. Rowling, Herta Müller, Roberto Bolaño, Kazuo Ishiguro, Haruki Murakami, ad infinitum, several translations of an author’s title might appear in the market almost simultaneously. In the case of classical works, many translators state they choose a text to retranslate due to their “personal interests in the specific book or the weakness of previous translations” (Rasouli). With more recent works, when an author becomes popular with the Iranian readers for one reason or another, or when she/he wins an international award, suddenly all translators and publishers rush to publish her/his works in Persian as soon as they can. In the short term, the sooner a translator/publisher puts out a book, the greater the promise of financial gain. In the long term, however, sales can be affected by translation quality. Informed readers have come to realize the significance of the role of the translator (whose name appears on the cover along with the author’s), and how her/his work can profoundly affect the text. In fear of shoddy translations, some readers might seek out books and authors based on the translator. Meanwhile, in order to truly understand the phenomenon of retranslations/simultaneous translations, we need to methodically study the incentives behind the popularity of the texts, carry out comparative studies to assess the quality (and sometimes even ethicality) of the works, and analyze the impacts of each on the literary community. And we have to wonder if the book market might be more vivacious if Iranian writers and translators received greater institutional support in the form of the residencies, fellowships, conferences, prizes, and literary gatherings we see flourish in other markets. It is clear that translation will continue to play a part in Iran’s literary scene, but it is also clear that things need to change if we want to both diversify the kinds of literature found domestically and increase Iran’s literary visibility worldwide. Now the question is: What are the first steps publishers, writers, and translators—both within and outside of Iran—need to take to make this possible, and how much do they have to sacrifice to see a change occur?